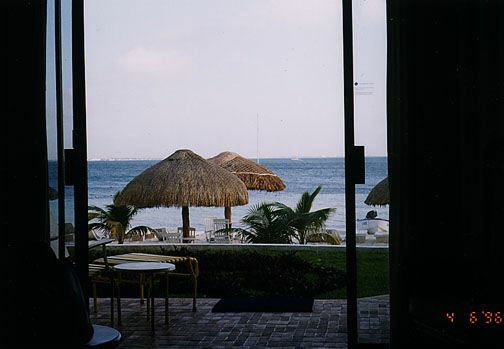 We just got back (April, 1996) from our vacation in Cancun. 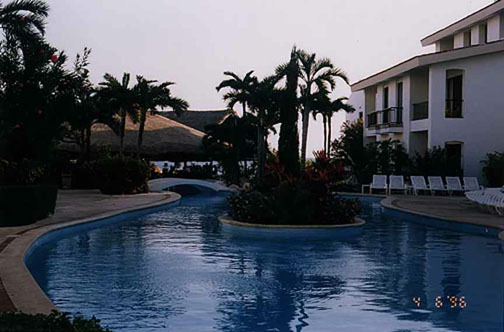 We stayed at Vacation Club International, a resort we traded our timeshare for. We flew Sun Country for the low fare of $256 per person round trip. You have to show up 2 hours before takeoff and they don't have the most leg room but you can't beat the price. Our luck of the draw for a room was great. We ended up on the bottom floor (walking right out to the beach) with the water about 60 feet away. It was a great view! The weather was about 80 degrees each day and I hear that is their yearly average. 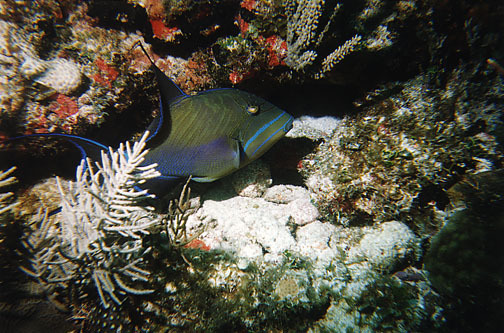 We rented a car one day and went to Xcaret (a park). It cost about $30 dollars US to get in, more like $65 if they provide transportation. They have ruins, animals (birds, tigers, donkeys, butterflys, aquariums, dolfins you can swim with for $70, and turtle breeding), restaurants, a lagoon to float in (they give you innertubes to use), and an underground river that you put a lifevest on and float around in. One day we went to Isla Mujares (Island of Women). The ferry ride over was 15 pesos (about 2 dollars), that is their new pesos that they took three zeros off of to make their money worth more now. When I went there years ago it was fun to tell them I was willing to give them 30,000 pesos for something, it sounded like so much but it was about 10 dollars then. Of course, they price most things in dollars anyways, that way their inflation doesn't affect them as much. 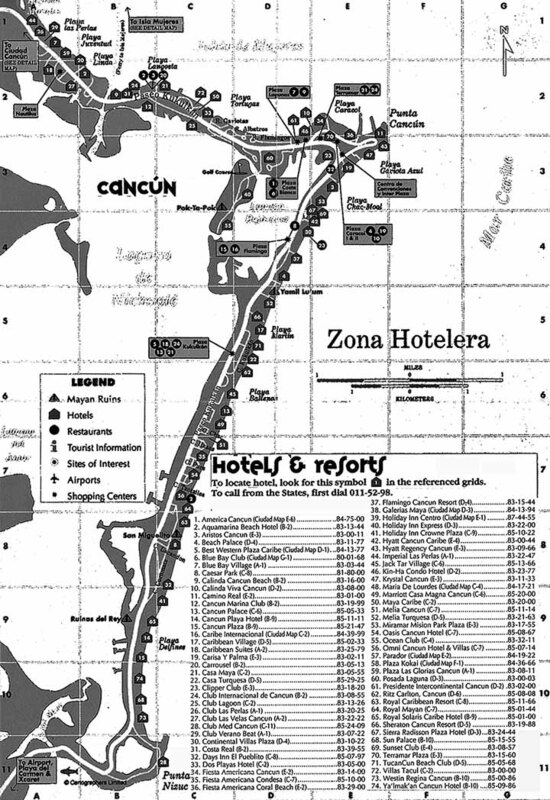 The exchange rate is about 6.80 pesos to $1 at the airport, 7.10 to $1 at most resorts, 7.2-7.35 to $1 at most exchange booths and about 7.55 to $1 dollar at the banks. 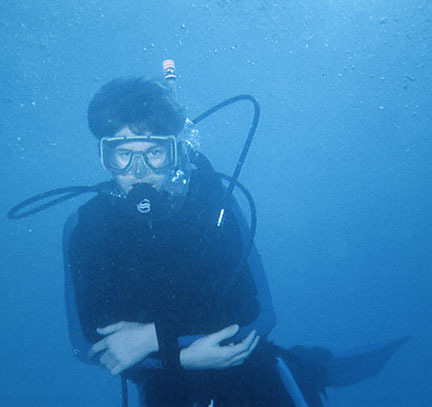 We dove one day in Cancun, the maximum depth we dove was 52ft and the water temperature was about 79 degrees, a little bit chilly for lycra skins, but OK. 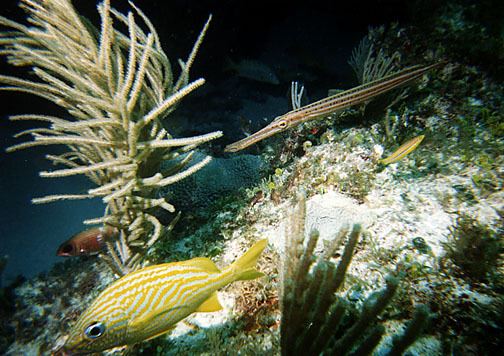 It wasn't that exciting but we did see some exciting things like a queen trigger, queen angel, scorpion fish, sand diver, eel, lobster, starfish, etc. but not in much quantity and you had to follow a divemaster around. 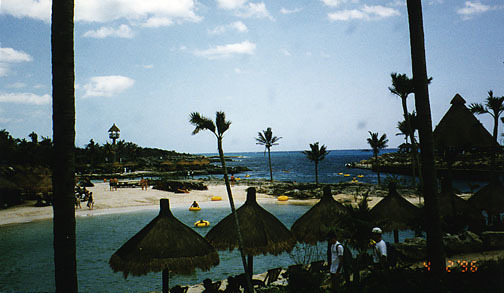 The resort course allows you to go dive in 25ft of water somewhere. As always, you have to get some souveniers there and I like the lava rocks (obsidian), while Lynn gets clothes. Silver is a good price in Mexico. The other thing is all the restaurants. 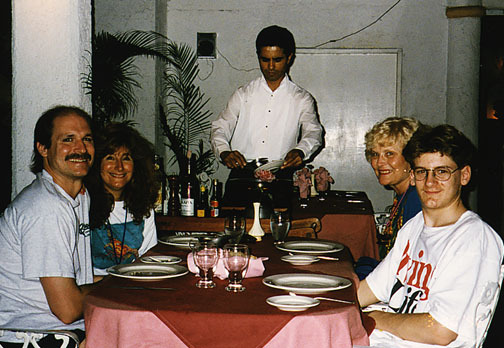 We have been there before and went back to our favorite restaurant, Don Emilianos. They have a pepper steak there, I love. They flame it and mix the gravy at the table. 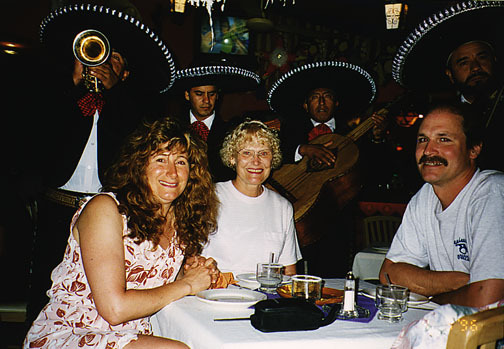 Lynn loves their Chile Rellenos. 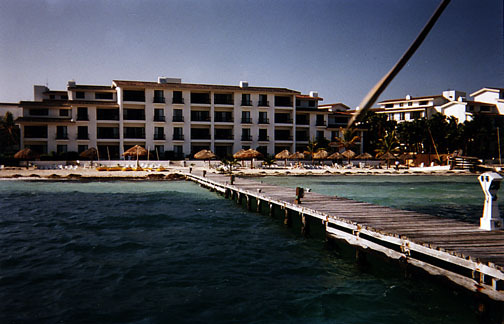 Cancun has about anything you want to eat and all of the american favorites so everyone can find whatever they want.